The purpose of this paper is to present an overview of the specifications of three guidelines for the seismic design of structures with passive dampers, to compare their similarities, as well as to discuss topics in which each guideline would be desirable to extend. The guidelines compared here are: a) Minimum Design Load for Buildings and Other Structures (ASCE/SEI 7-16), b) European Standard Anti-seismic Devices (EN 15129), and c) Technical Regulations for Seismic Design, corresponding to Mexico City Building Code (NTCS-17). The document summarizes and discusses the most significant differences and similarities among the three guidelines for the design of structures with energy dissipation devices. The analysis and discussion are focused on the following sections: 1) Type of Dissipation Devices, 2) General Design Requirements, 3) Procedure Selection, 4) Seismic Design Action, 5) Inspection and 6) Testing of Dissipaters. The paper identifies the gaps in each guideline and gives recommendations about its possible extension. The paper concludes that ASCE/SEI 7-16 presents the procedure selection section with more detail; EN 15129 describes with more detail the Testing section, and NTCS-17, the Inspection section. 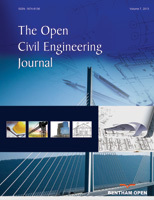 The paper can be useful for engineers and guideline writers from the USA, Europe, Mexico and other countries that are in process of developing their guidelines for structures with supplementary damping. Keywords: Buildings with dampers, Energy dissipating devices, American, Mexican and European design recommendations, Anti Seismic Devices, Testing of Dissipater, Seismic Design Action. © 2018 Sonia E. Ruiz.